Talent shortages are a chief priority for STEM related sectors working in an increasingly competitive global marketplace. As organisations rush to respond to technological advances it has never been more crucial for employers to forge links with schools to build a talent pipeline for the future. 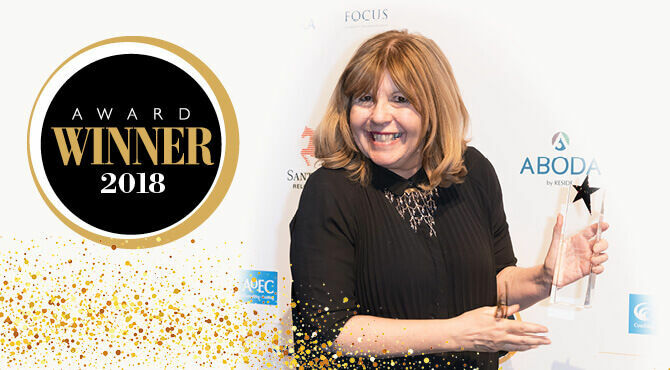 Founded in 2008 by celebrated science and technology presenter Maggie Philbin of Tomorrow’s World fame and Chris Dodson, Teen Tech works directly with businesses and schools to help 8-19 year olds learn about a career in science, engineering and technology and discover their true workplace potential. The company has a proven track record of inspiring students to use innovation and technology in STEM projects. It has also managed to successfully raise the profile of science-related careers, helping to make a huge difference in the uptake of STEM subjects. The company’s submitted case studies revealed an increase in STEM uptake by 300% in one socially deprived school and an uptake of physics GCSEs at a girls’ school increase from 43 per cent to 87.5 per cent. A clear testament to the organisation’s effectiveness in securing future talent. The judges applauded Teen Tech for its ability to work collaboratively with employers to help meet talent shortages and its focus on disadvantaged communities and promoting inclusivity and diversity. “We provide a framework of activity and a network of useful contacts and opportunities helping develop STEM capital. We have a strong reputation for building effective, long lasting relationships between schools and local, national and global organisations, especially for students whose social or ethnic backgrounds may mean they lack a network of contacts or informed parental support,” says CEO at Teen Tech, Maggie Philbin. Through its large-scale interactive events, Teen Tech provides pathways into their national TeenTech Awards and TeenTech City of Tomorrow programmes where young people are provided with year-round opportunities to work alongside industry mentors. “A typical day at a TeenTech event gives students opportunity to interact with six employers in hands-on activities, work in teams to develop their own ideas and reflect on their learning and consider next steps. Students and teachers have their preconceptions about industry and their own potential to succeed positively challenged,” she added. Every year in the UK, TeenTech works directly with over 6,000 young people and 2,000 engineers, scientists and people working in technology - encouraging them to act as advocates when they return to the classroom or the workplace.